A fast-growing chain of high-tech golf driving ranges has secured the site for its first Richmond-area location. Topgolf paid $5.7 million for the 14-acre parcel at 2308 Westwood Ave., according to sources with knowledge of the deal, where it will build a multilevel range and entertainment complex that it aims to open by fall 2019. The deal was recorded with the county on Tuesday. The Dallas-based company, which has dozens of locations around the country, including several around Virginia, purchased the land from a partnership between local developers Lynx Ventures and Rebkee Co.
That group paid $6.5 million for the property in a September 2017 deal that also included the neighboring 220,000-square-foot Sears Outlet and distribution complex, and its surrounding 12 acres at 4100 Tomlynn St. 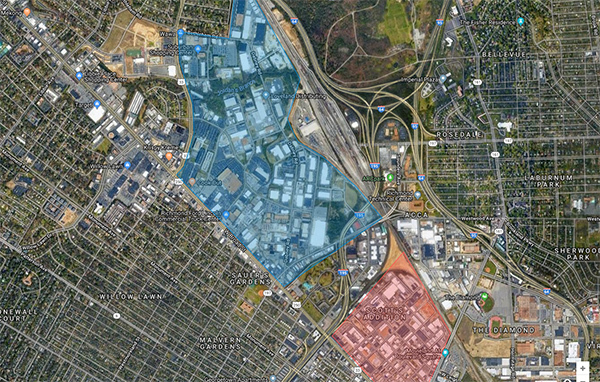 The county has been studying how best to position the 500-acre area to capture expected spillover from Scott’s Addition, arguably the most sought-after neighborhood in the city. 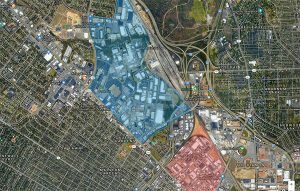 The county calls the section the “Westwood area” and is looking at how to update existing zoning and infrastructure to capitalize on the primarily industrial corridor that extends from Westwood Avenue to Staples Mill Road. 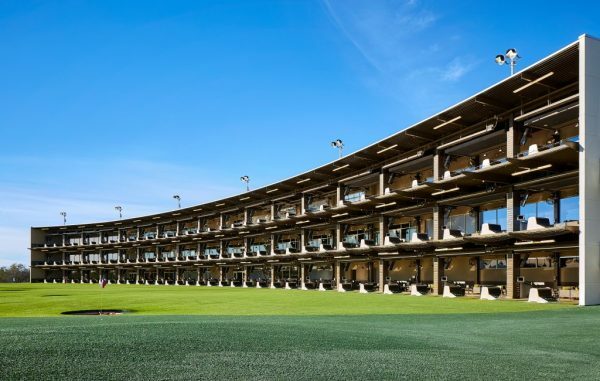 Topgolf spokeswoman Morgan Schaaf said site work is under way on its Westwood property, with Chicago-based general contractor Arco/Murray leading the project. It has built other Topgolf locations around the country.